Every decision that is made by managers and policy-makers in a public sector organization requires an evaluation and a judgement of the risks involved. This vital requirement has been recognised in the growth of risk management. However, risks can never be fully prevented, which means that public managers also have to be crisis managers. Today’s crises develop in unseen ways; they escalate rapidly and transform through the interdependencies of modern society, and their frequency is growing: the global financial crisis, the European volcanic ash cloud, the Japanese tsunami and subsequent Fukushima nuclear plant meltdown, the Christchurch earthquake and the Queensland floods. All highlight the extreme challenges that public sector organizations across the world have had to face in recent years. 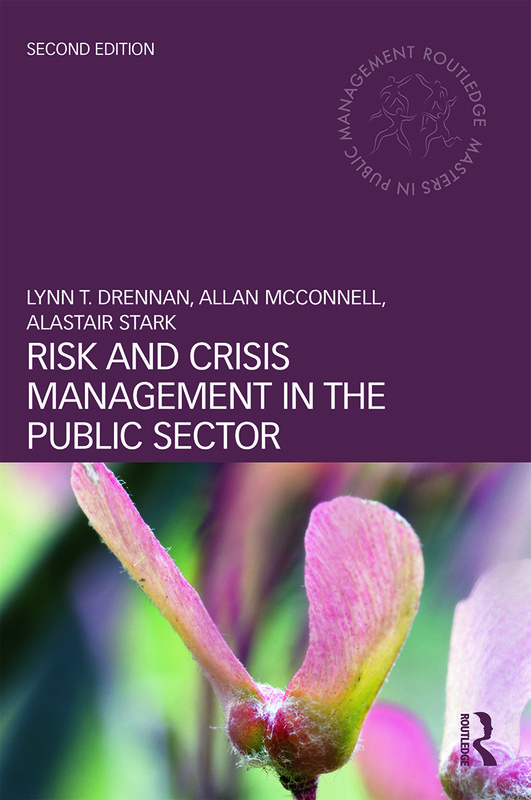 Risk and Crisis Management in the Public Sector Second Edition responds to these challenges by presenting the only guide for public managers and public management students which combines lessons about risk and crisis management together in a single, accessible text. It equips readers and public managers with the knowledge and skills to understand key issues and debates, as well as the capacity to treat risks and better prepare for, respond to and recover from crisis episodes. This exciting new edition enhances the original text with contemporary cases and a greater focus on the international, trans-boundary and multi-agency dimensions of risk and crisis management. These enhancements reflect the fact that today’s public manager must increasingly operate within a global and interdependent governance context.